The Scoop: Roy Biancalana doesn’t consider himself a dating coach — he prefers the term awakening coach. Because that’s what he does. He opens his clients eyes to the dating possibilities around them and helps them do the inner work it takes to attract a healthy relationship. His spiritual insights have transformed the lives of singles who want more than a quick fix to their dating woes. Over the last decade, Roy has worked with singles in one-on-one sessions and has written self-help books to teach people how to manifest a lasting love. In recent years, he has made his coaching services more accessible to men and women around the world by offering e-courses on personal development and attraction. The principles of attraction are as mysterious as love itself. What draws a particular person to another? Can we influence our own attractiveness? Awakening coach Roy Biancalana believes we can. Not by going to parties, singles cruises, or speed dating events, but by becoming more radiant, empowered, and conscious individuals. Roy Biancalana says all you have to do to find love is become someone who draws love in. The relationship expert tells his coaching clients they don’t have to go anywhere special to find love — all they have to do is become the sort of person who draws love to them. He compared it to a flower in a field. The flower doesn’t need to go anywhere or do anything but be itself to attract bees in the area. Roy said his mission as an awakening coach is to guide individuals on the journey to lasting love. His spiritual insights bring clarity and offer solutions to singles who are struggling to make connections and find compatible dates. Singles don’t have to sign up for private coaching sessions to benefit from Roy’s advice. They can access his dating principles in books, online courses, and blog posts. These instructive resources encourage people to grow at their own pace and transform their lives by embracing their most attractive qualities. 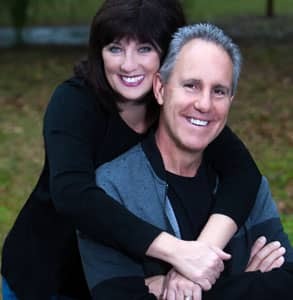 Roy started his career as a professional golfer, but in 2005, after a professional coach helped him work through a series of heartbreaks, he felt inspired to become a certified relationship coach trained to give singles the encouragement and support they need to succeed. Today, he works with people from all walks of life. He said his spiritual advice can impact people of all backgrounds and beliefs because it speaks to the fundamental aspects of human nature. Roy’s latest project is the personal development eCourses he’s created to help single people understand the critical issue of masculine and feminine dynamics. The Radiant Woman is an eCourse that shows women how to express the divine feminine in a way that makes them irresistible to masculine people. The Superior Man is an eCourse that shows men how to express the divine masculine in a way that makes the irresistible to feminine people. These courses can help anyone attract a healthy, lasting relationship. Each e-course has about eight hours of instructive content, diving into subjects like how to find love online, how to become more attractive, and how to date after divorce. Participants can email Roy with any questions they have along the way. “I wanted to put everything I know about what it takes to attract a healthy relationship into a useful format, not just a book,” he said. A person’s dominant energy doesn’t have to correlate with his or her gender. In fact, Roy said he’s seeing a trend of men becoming more feminine and women becoming more masculine in the wake of the #MeToo movement. According to Roy, women want a man who’s purposeful and assertive. She looks at the ambitions and goals of her potential partners to determine compatibility. In short, she’s looking for what Roy calls a superior man, someone who’s grounded, confident, and in control. Roy said becoming a superior man or a radiant women isn’t about becoming a stereotypical macho man or blond bimbo — it’s about gaining clarity of spirit and embracing one’s natural strengths. In courses and coaching sessions, he teaches singles how to develop and strengthen their masculine or feminine sides so they become irresistible in the dating scene. Roy doesn’t call himself a dating coach for a reason. He focuses on long-term interpersonal skills rather than short-term dating tactics. He takes a holistic approach to helping singles become the best possible version of themselves. Instead of offering superficial dating advice, he dives deeper to speak to the inner motivations and blockages that can determine the health and strength of someone’s personal relationships. By helping his clients heal their broken hearts and overcome emotional baggage, Roy empowers them to move forward as healthy and happy individuals who are capable of giving and receiving love. He told us that attracting the right partner becomes much easier once singles have gotten themselves in a positive and balanced frame of mind. As a professional awakening coach, Roy helps his clients do the internal work it takes to make their natural beauty shine through so they can attract people wherever they go. He said his goal is to transform singles from the inside out. He teaches them how to become irresistible — the metaphorical flower in a field — and find the relationship they deserve. Roy has seen his methods work time and time again, and he has the testimonials to prove it. Throughout his career, he has written books, hosted online courses, and offered instructive resources to spread the word about the benefits of conscious dating. His emphasis on personal development has allowed him to impact singles’ lives in many ways, and he told us he hopes to further a worldwide discussion about how modern daters can evolve and improve.